Born March 19, 1988 — seven months and one day before the Dodgers’ most recent World Series title — Kershaw has long been the prodigy, the exceptional, otherworldly wonder. But today, he enters baseball middle age. 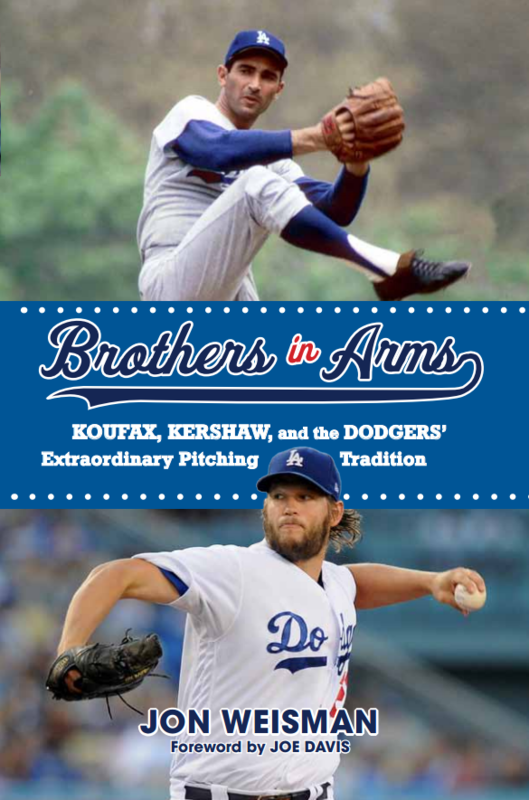 Because of this big birthday, I juggled the order of my previews for Brothers in Arms: Koufax, Kershaw, and the Dodgers’ Extraordinary Pitching Tradition (pre-order now! ), jumping ahead to the end. The final chapter of the book is on Kershaw, and Kershaw alone — such is his stature in the history of Dodger pitching. I sent my publisher my draft of Brothers in Arms at the end of July, but unfinished were two sections — Kenley Jansen’s entry among the greatest Dodger relievers (Part Eight), and the chapter on Kershaw. In my mind, I envisioned the perfect ending for this book coming in the fall, with one or both pitchers draped in World Series glory, and all the way to the final days of October — indeed, into the first day of November — it was so very close in reach. A few more days into November, the chapter on Kershaw was completed, with the highs and lows of his role in the Dodgers’ 2017 near-miss season depicted. 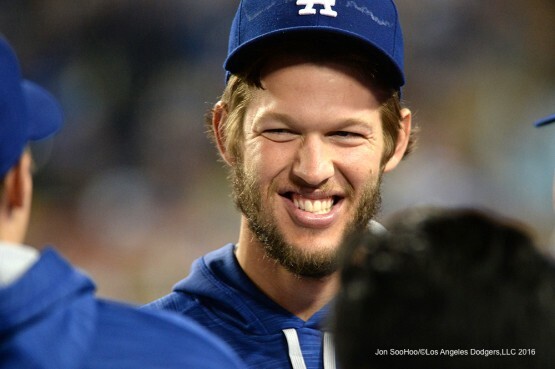 I have been writing about the Dodgers on a regular basis for more than 15 years in a row now, and there is no single person I have written more about than Kershaw. Nor is any pitcher in the book going to be more familiar to its readers than the big lefty. The challenge for Brothers in Arms was to synthesize all we know and all we still stood to learn into a vivid picture of Kershaw, finding perspective, capturing his essence. It was the hardest chapter to craft. For example, I spent more than a page describing only his first inning in the majors, and then reflected on whether this was too much … or not enough. Kershaw’s 10 years in the bigs so far are made up of milestone piled upon milestone, and the last thing you want is for them to blur together. In the end, I like to think that in Brothers in Arms, I can offer the definitive story of Kershaw’s career … to date. Already, he is all but assured of putting the first LA cap on a Hall of Fame plaque in Cooperstown since Don Sutton, but count me among those who still believe there is more greatness to come. In the meantime, appreciate him in the pages of this book.